D&B: Where are you from, where do live/work now and where are you going next? AS: I’m a Mexican photographer living in London, where I am studying Art History at UCL. I really don’t know where I’ll end up once I finish here, although I know that I want to teach photography. 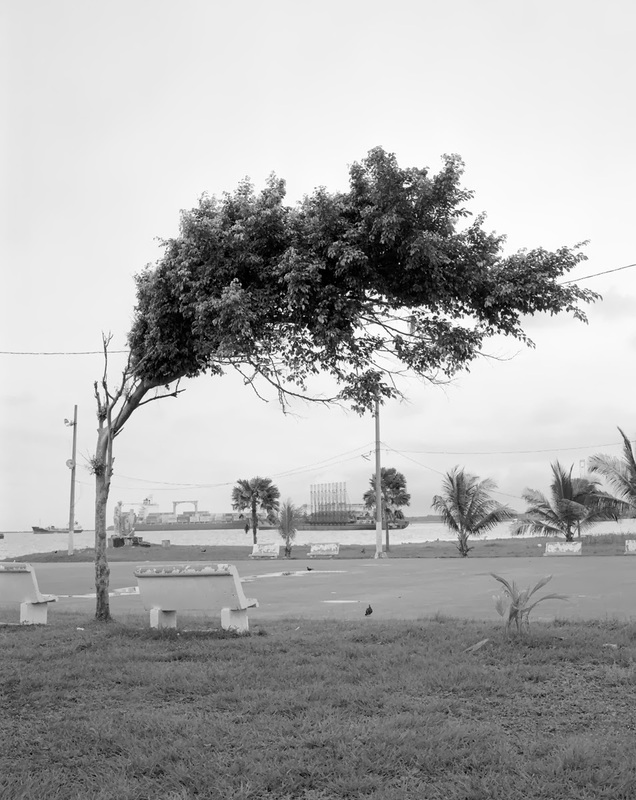 Your most recent series, “In the Heat”, is an homage to your time in Panama. 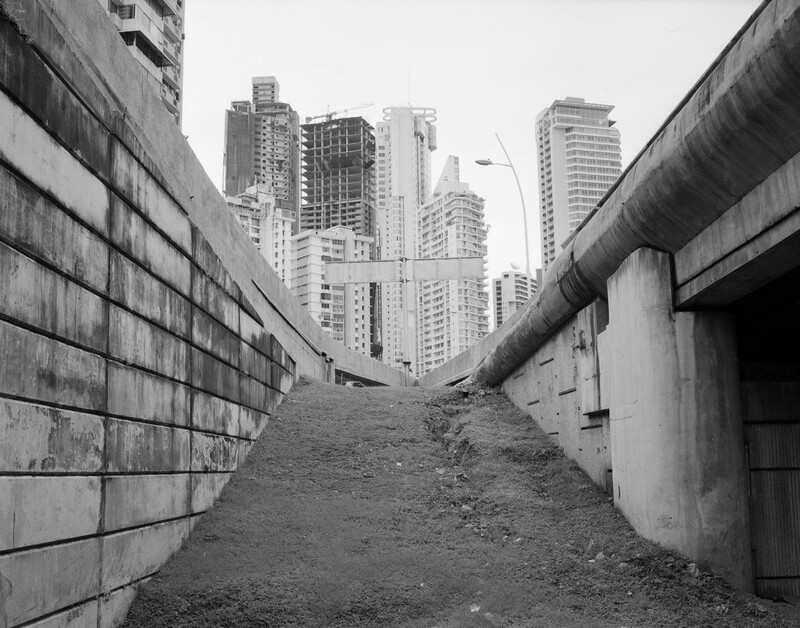 What drew you to Panama and what was it about the landscape that compelled you to photograph it? I moved to Panama for almost two years due to my former partner’s employment. I knew that it was an opportunity to make a new body of work, so photography was an excuse to explore this new environment and make a better sense of it. The fact that the Panamanian landscape hasn’t been as extensively photographed as other places was both exciting and challenging. I find it very interesting that you have gotten a celebratory sense from the images, since my intention, influenced by my state of mind at the time, was precisely the opposite of that. Even though the pictures aren’t tied to a specific social critique, I wanted them to reflect my conflicted views about the place, imbuing them with my disenchantment and personal struggle. 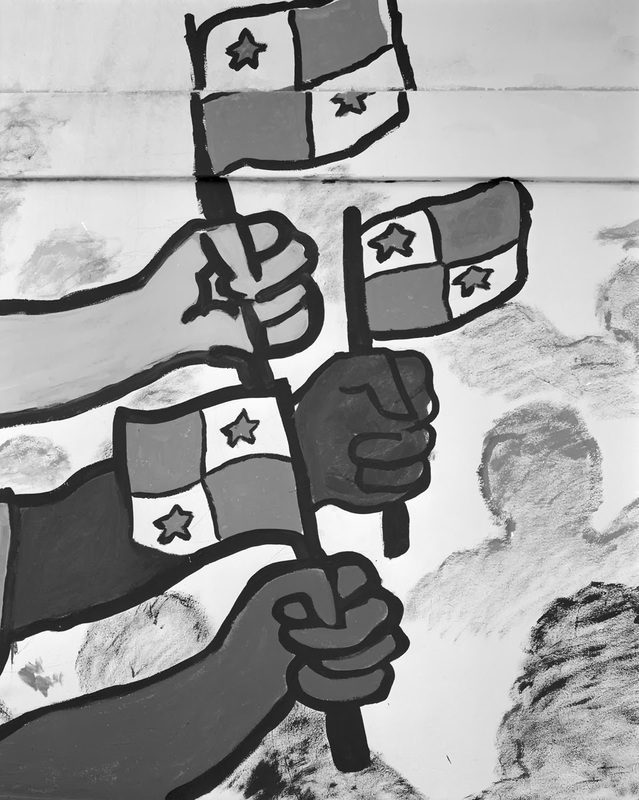 Why did you choose to photograph such a tropically colorful country in black & white? I wanted to stay away from the typical imagery that the tourism industry emphasizes, in which color is used to promote prepackaged experiences, leaving out whatever may contradict that illusory lifestyle. I am interested in depicting spaces that are very present and common, but that somehow people don’t seem to notice. Sometimes, this mental blocking has to do with familiarity, although I believe these spaces are frequently ignored because they confront one with thoughts that aren’t necessarily pleasant. When I was living there, I noticed that some people acted as their own political censors, suppressing whatever didn’t work in favor of conservative notions of progress and national identity. While it is true that monochromatic images aestheticize reality by abstracting it, I think they can also lay bare spatial and visual relationships that are perhaps more difficult to grasp in their original context. 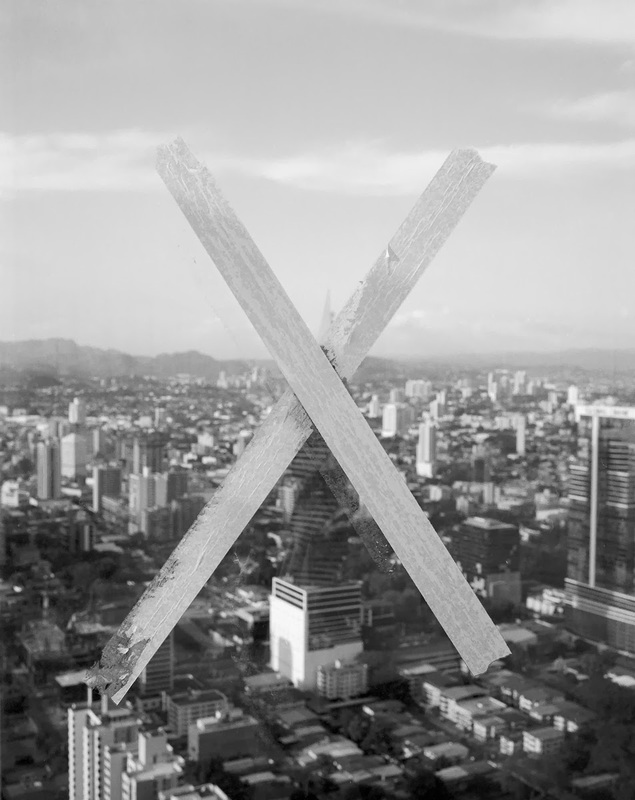 Your landscapes of Panama are missing its people, why? 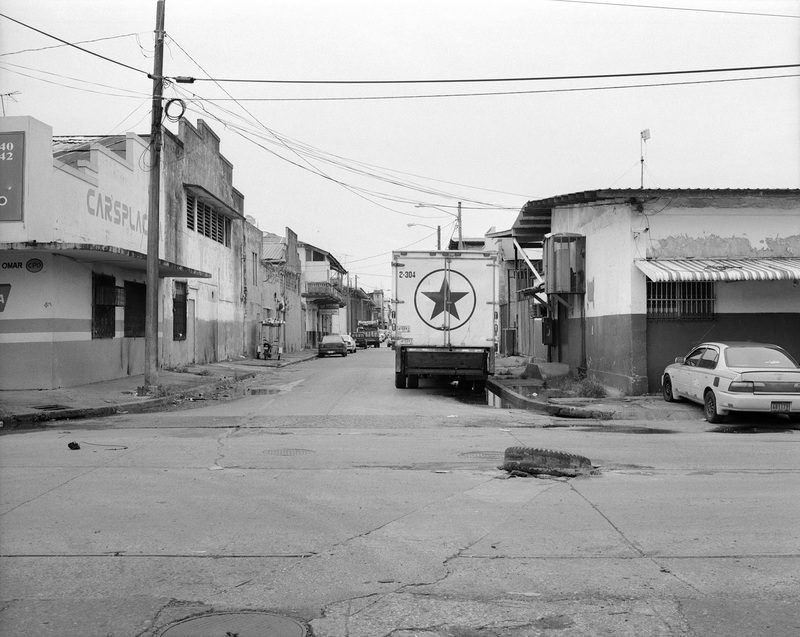 I tried to concentrate on public spaces that, in my opinion, reveal something about Panamanian society and its values. Including portraits would have diverted the attention away from the landscape, and changed the focus of the series. You’ve created a language with your careful composition that mixes a blend of signs, logos and symbols. Have you been able to translate this codified language as unique to Panama or is it something you’ve seen elsewhere? Public signage can carry a huge amount of information beyond its intended purpose, and I have incorporated it often in my work. 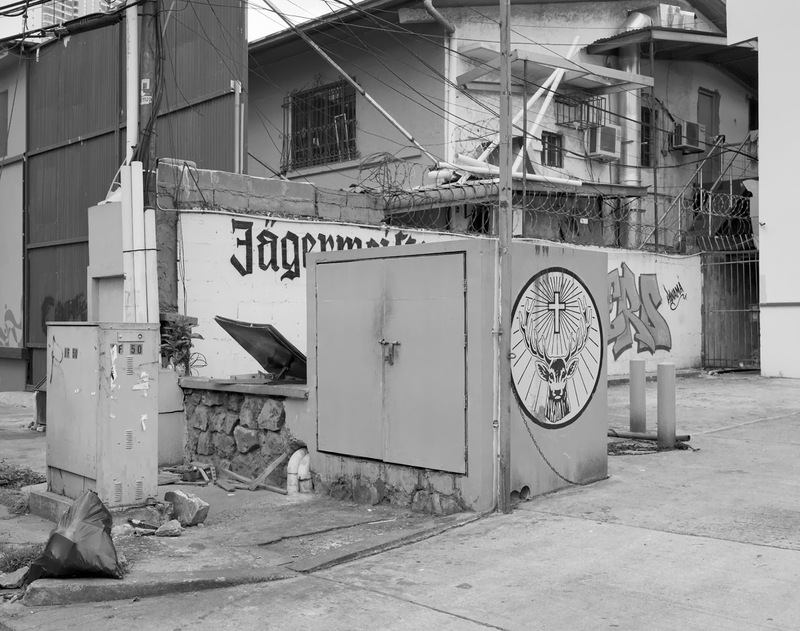 For “In the Heat”, I wanted to capture signs that were particular to Panama and that worked not only as social markers, but also hinted at my own subjectivity. In a way, I wanted to make visible this relationship between the landscape and my experience of it, and signs expand the possibilities of interpretation. I wanted to convey a sense of dislocation, so it was important to impede the viewer from getting a clear sense of what the place looks like, or how to navigate it. The details and close up shots help build a fractured narrative that abstracts Panama for my own purposes. I admire way too many photographers to list here, but for this particular series, the work of Anthony Hernandez, Tim Davis, Heidi Specker and Paul Graham was a constant source of inspiration. My biggest influence, however, was Michael Schmidt, particularly his series “Waffenruhe”, a painful and critical depiction of Berlin prior to the fall of the wall. Camera, film and paper are the three obvious ones, although curiosity, resourcefulness and tenacity are also very helpful. Tell us about the new work you’re doing in London and why you choose to make work that is personally connected to your own life experiences. I choose to make work that stems out of my experience, but that is more about the world than about myself. I believe, perhaps foolishly, that photography can still be used to mediate reality and deal with everyday life, so I try to capture that problematic relationship. For my latest project, I’m once again picturing my immediate surroundings, trying to translate the quotidian into that “something else” that eludes any easy explanation. I am interested in reducing the subject matter of a picture to a minimum, and still make it reveal my position and emotions, but without falling into visual melodrama. Is it possible, then, to make a picture of a street, for example, that says at once something about its social reality and about my own experience of it? 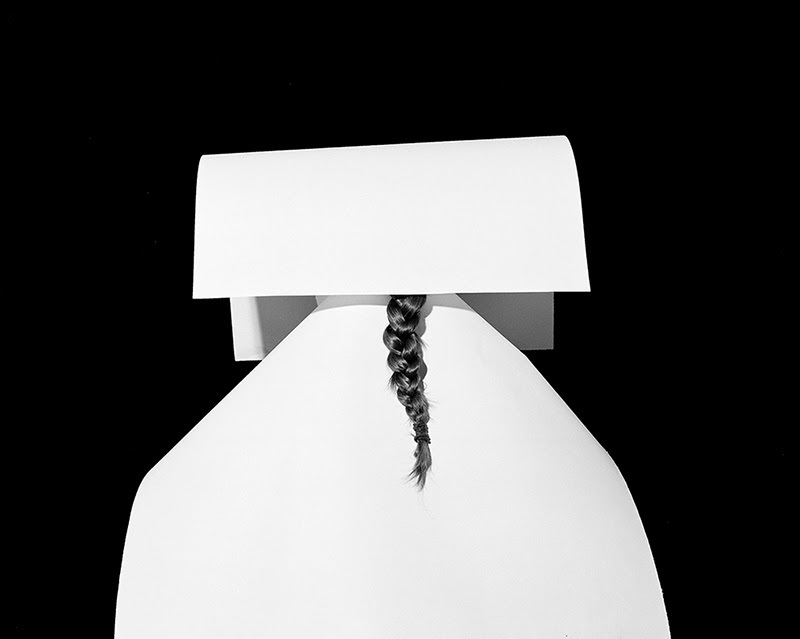 View more of Arturo Soto’s photography work plus check out Soto’s two exhibitions at Mexico’s Tal Qual gallery here and here.